The trail is well-packed and solid. The stream crossings were bridged with snow. A few duck-unders along the way. Snowshoes on the way up (mostly for the heel lifts) and spikes on the way down. The lots are plowed – can fit about ten cars in the upper lot and another half-dozen in the lower lot. 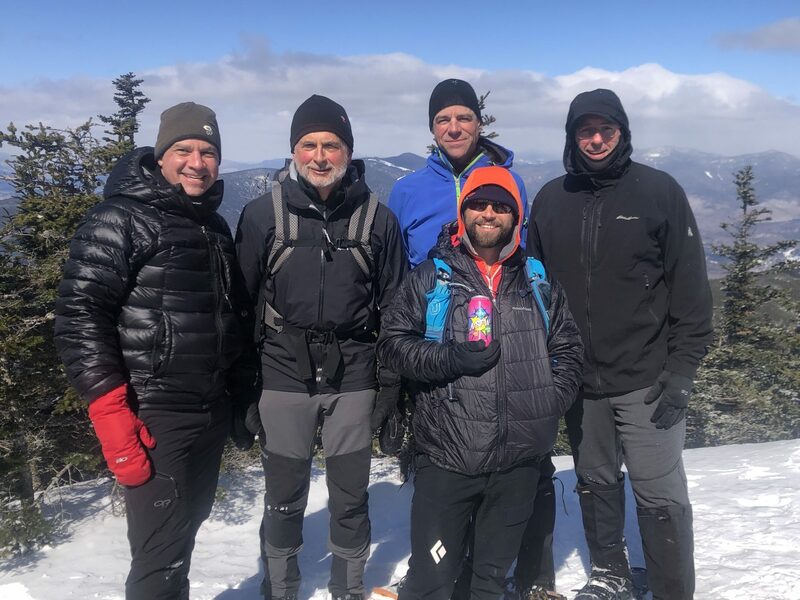 Earlier today Monica Trust and a bunch of friends joined me on a hike of Sandwich to finish the New England Hundred Highest in winter. After finishing the three-season version of this list in November I entered winter with 22 left. Many that were left get very few visitors in winter – there aren’t defined trails and getting to the top requires you to navigate through thick woods, steep ascents, and deep snow. My original plan was to hike Sandwich earlier this winter but I had to postpone it. I’m glad that I did because I was able to put more thought into things and set the schedule up so I could finish on it. This peak holds a special spot in my personal hiking history – it’s where it ALL started. Twelve years ago it was the first hike that Monica and I ever did and it’s where I first learned about the randomites and “hiking lists”. Game on. We did that first hike with a new meetup group called the Random Group of Hikers. Seemed like an appropriate name for a group of random people that would meet and then go on a hike. Little did we know that the Random Group would become such a big part of our lives – we’ve had so many good times, created so many wonderful memories, and met so many great friends. Looking forward to even more memorable experiences. 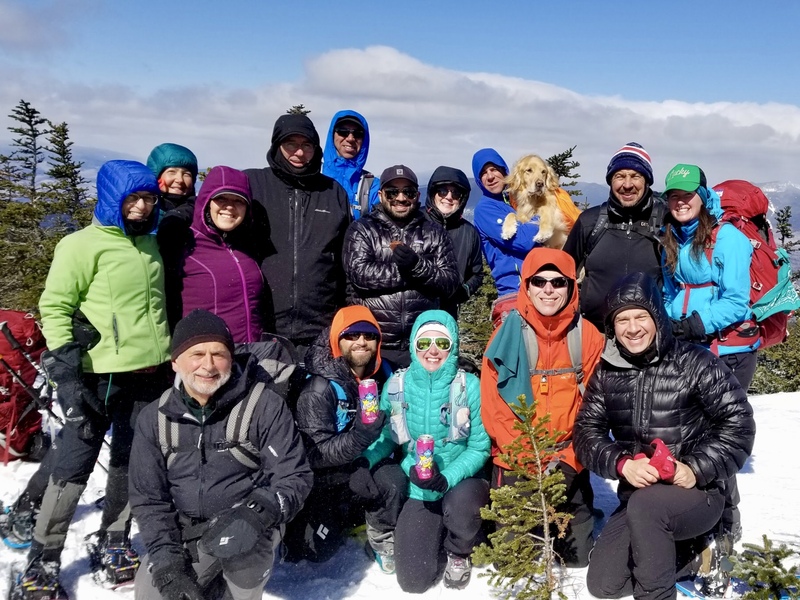 While many awesome people shared the trails with me this winter two deserve a special shout out – Tabitha Schober was on most of the hikes and was the only one who wanted to do Scar Ridge, probably the second hardest one of the winter. She also drove me to the hospital. Erik Bertrand entered the winter needing 21 to finish his own Winter NEHH and while we only hiked together a few times we were in constant communication all winter. Since that day back in 2007 I’ve reached the summit of 1,586 different “high” peaks throughout the Northeast, Arizona, and Colorado. Despite climbing none during that first winter, I’ve now climbed 356 of them in winter. Winter hiking seemed like such a crazy idea – we needed to ease our way into things before going to high places. Our first winter hike was to “not-so-high” (1,998’) Skatutakee. Winter is now our favorite hiking season. I’ve finished the White Mountain Grid, the Northeast 115 in both three-season and winter, and multiple rounds of the New England 67 and the Adirondack 46. Finishing the final “big” list on the peak that started it all was kind of special. I wasn’t sure it would happen after having to undergo emergency surgery a few weeks ago but friends were there to help, things healed up nicely, and the weather gods cooperated. The Winter NEHH turned into a fun challenge – figuring out not only how to get to the start, but also how to get to the top, added a level of complexity to each hike. If you plan to persue this list I recommend that you don’t save all of the bushwhacks until the end. 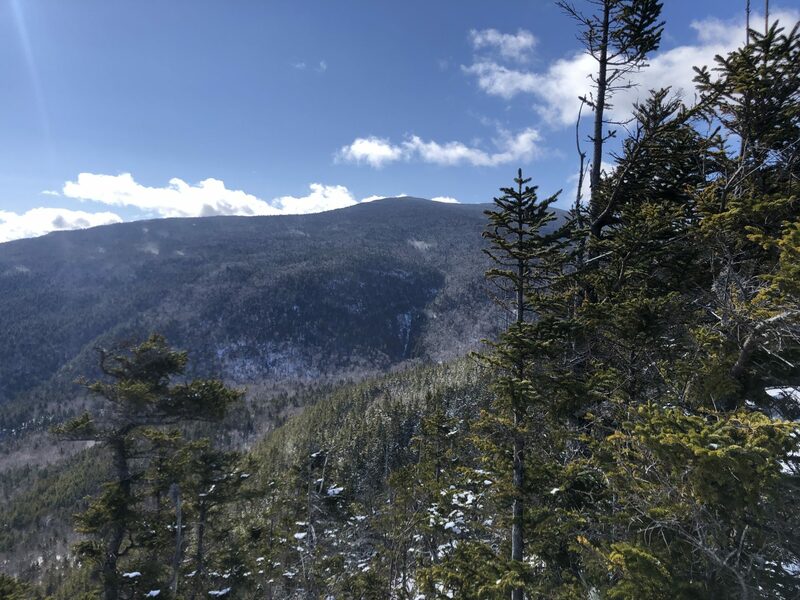 Up next – doing the final three Northeast 8 Ultra Hikes and then finishing the four-season grids of the New England 67 (95%), Northeast 115 (78%), and the NEHH (80%). Photo #1 – Sandwich from the lookout near Noon Peak. Photo #2 – The group at the top. Photo #3 – Five WNEHH finishers and three grid finishers.